Don't make of your religion an obsession, otherwise your trips to church will mean nothing but obligation; and your prayers will result in no action. Your most powerful testimony is how you treat others after the church service is over. Churches are not museums that display perfect people. They are hospitals where the wounded, hurt, injured and broken find healing. People dont miss church because they live far from the building. 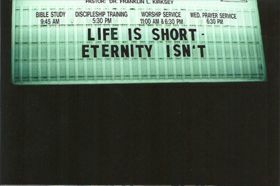 People miss church because they live to far from God. 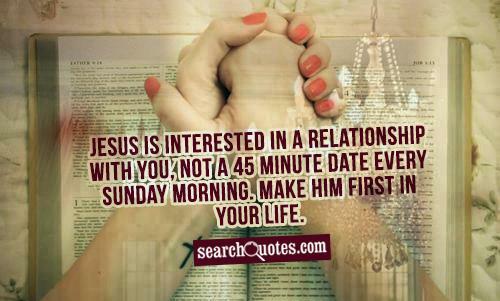 Jesus is interested in a relationship with you, not a 45 minute date every Sunday morning. Make Him first in your life. Church is not just about Sunday morning; you need to get this. This confessing, this joining together, can't all happen on Sunday morning. It can start there, but we have to determine that we are going to give ourselves to the body, not just on Sunday morning, but in our daily lives. Just because you don't go to church Sunday morning doesn't mean you forfeit your right of having any help or guidance from God. Commitment is more important while going to church as this only will increase the faith you have in the church. You can be committed to church but not committed to Christ but you cannot be committed to Christ and not committed to church. A true believer will always have hope and faith in prayers and church is the fittest place to offer your prayers to god. Here you will find all kinds of quotes that will make you think, feel and also share it with others.